Timber! This Adult Lumberjack Costume will have you looking like a grizzly man of the wilderness! The checkered shirt will make you look like the hunky tree harvester that you've always wanted to be. And when you're decked out in this work gear, you might just be able to sneak your way into camp and get a free flapjack breakfast! Is your child the person you call when faced with a spider or other stray bug in the house? With this Child Bug Catcher Costume, he can take his creepy crawly career to the next level. 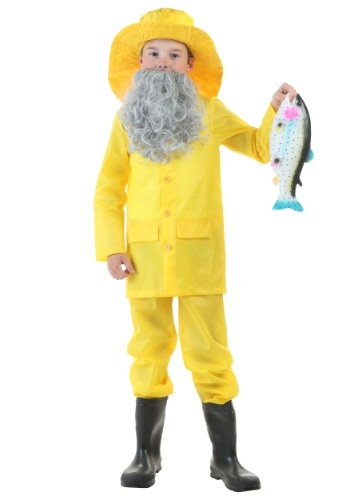 Let your child learn where fish sticks come from in this Child Fisherman Costume! All you need to add is a pair of his own rubber boots. 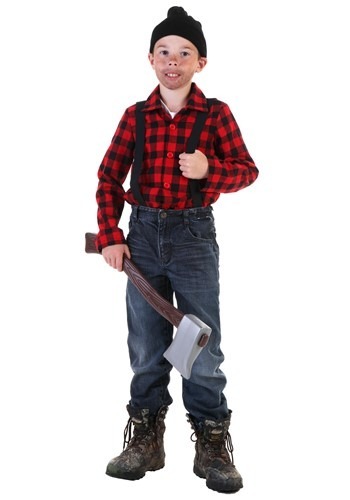 Any kid who loves sawing logs will enjoy wearing this Child Lumberjack Costume for Halloween. Let him wear the shirt with his own jeans and boots, and give him an axe or toy chainsaw as a prop. He can rescue Red Riding Hood or join Babe the blue ox on a trek through northern forests. He'll have to find his own lumber, however. Is your little bucko ready for an adventure? If he pictures himself as a tropical turn of the century explorer he'll want to be outfitted in classic style, and this Pith Helmet will do the trick! He'll be ready for an expedition to Africa or India, and he can interact with the locals, traverse unexplored lands, or study elusive wildlife. Or just hang out with his friends and make a movie! Deep in the heart of the Austrailian outback is a man, a man you don't mess with. Some say he is a legend while other say he a crazed outlaw but what everyone can agree on is that he only goes by the Crocodile Hunter. What has this man done to be only mentioned in whispers about? The stories say that he brought down 10 foot long crocodile with his bare hands. If that is true then he would have be the bravest and strongest person to ever roam the outback. Now you can look just like the legend when you wear this great adventurer style hat. Darling it's better, down where it's wetter, take it from me! Also take this Fish Purse, it's the perfect accessory for your mermaid costume. Finally, you've managed to put flounder to good use! Everyone knows that survival in colonial America is all about the outfit you wear. Well, that and maybe survival skills, like how to light a fire, how to trap animals for dinner and how to make a house out of a log. We're not really experts at any of those things, but we got the whole frontier outfit thing down. 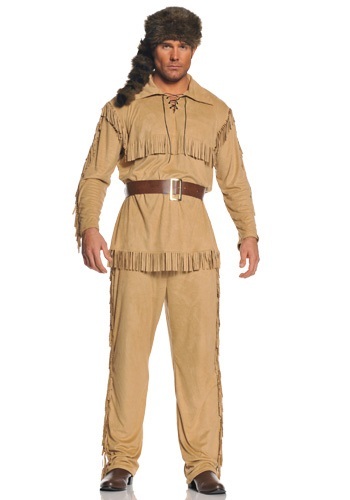 You can too if you just wear this dapper frontier style costume. Camouflage. Tutu. No, that's not a contradiction in terms! This Infant Camo Tutu Costume is perfect for the little girl who's already showing tomboy tendencies. Or for a 'Daddy's Girl." Be the sexiest lumberjack in the logging camp in this Lady Lumberjack Costume! It's rugged and alluring at the same time. All you need is an ax. Sometimes when you're on a mission you never know what might come up. You may need to go covert at a fancy dress party but you may also need to sneak around nature. For those outdoor moments you'll need the perfect cover and this Ghillie suit exactly what you'll need. Just be sure to bring the right weapons with you! You'll find more than bugs and creepy crawlies in your back yard with this Melissa and Doug Backyard Explorer Costume. Whoa! There goes a lion! This kit is great for exploring, using your imagination, and learning about nature. 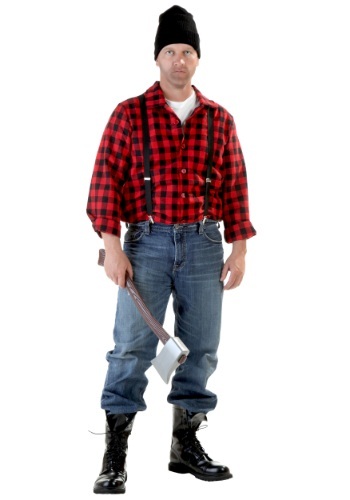 Wear this Plus Size Lumberjack Costume with your own jeans and work boots, and add an axe as a prop. You can be Paul Bunyan, Red Riding Hood's rescuer, or a paper towel spokesman. You can even be a video game character! But you'll have to provide your own lumber. He might not be ready to take down big game, but he can sure look like a real hunter with this Hunting Vest t-shirt for toddlers. He can size up some smaller prey, or practice aiming with his toy guns. Someday he'll be ready to head out into the woods with his father. (Probably sooner than you think!) It's perfect for play time, Halloween or for everyday wear!